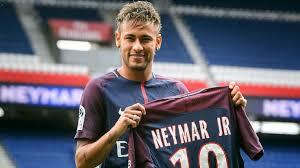 The players at Paris Saint-Germain are said to be unhappy over the benefits that the former Barcelona star receives at the club. According to Marca, Neymar gets two personal physiotherapists that are dedicated only to him, is exempted from defensive duties during games and players are not allowed to strongly tackle him in training. He is also allowed to carry his own personalised designer bags while other players are made to carry Paris Saint-Germain branded bags. According to Le Parisien, Neymar has been put in charge of all set-piece duties from next season following his fall-out with striker Edinson Cavani after an argument on who to take a penalty. Since that fall-out, Neymar and Cavani have been made to take turns for set-piece duties but just from this season. Neymar, however, had the support of some of his teammates following his red card during the 2-2 draw against Marseille on Sunday. Marco Verratti and Kylian Mbappé who backed him up after the dismissal calling for more protection for the forward.